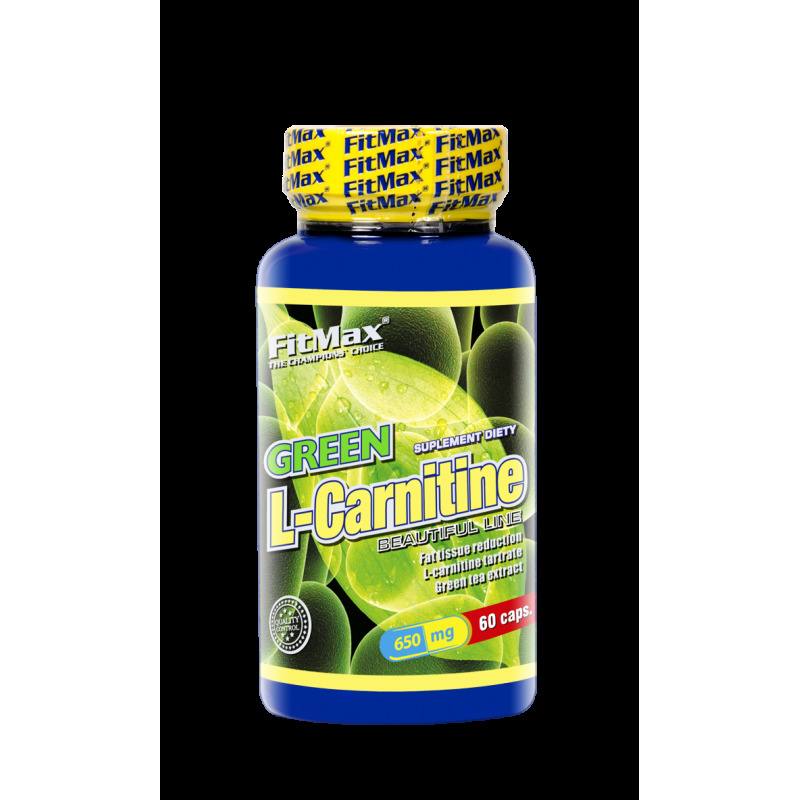 FitMax GREEN L-Carnitine, capsules, combination L-carnitine tartrate with green tea extract, strengthened by addition of vitamin B1. Product is directed for persons which are conducting a healthy and active lifestyle. Directions for use: Use 2 capsules once/twice a day: after a main meal or before training. Wash down with a lot of water (at least 250-300 ml). Do not exceed recommended serving sizes for the day. Dietary supplements should not be used as a substitute for a varied diet. The product should not be administered to pregnant women and nursing mothers. Storage: Store in a dry place at room temperature. Keep out of reach of children. INGREDIENTS: L-carnitine tartrate (containing min. 67% of L-carnitine), green tea extract (98% polyphenols, 50% of EGCG – epigallocatechin gallate), magnesium stearate - anti-caking agent, vitamin B1 (thiamine hydrochloride), galatine – capsule component.